Looking for a great resource to share with others on how we can save the planet? After all, World Thinking Day is just around the corner, and this year’s theme is based on U.N. Millennium Development Goal 7: Ensuring environmental sustainability. Well then, here’s a resource prepared by guest blogger Joyce Shanks: a poem and accompanying video! Joyce had some great help with the audio voices from her 9 year-old daughter and Girl Guide Ayla and her friend Kayla (although not a Girl Guide, Kayla jumped at the opportunity to do something for the planet!). Joyce asked that we include the text version of the poem below, so it can be shared! What will you do to show others that we can save the planet? 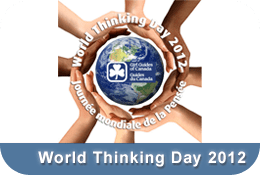 Written in honour of World Thinking Day 2012 for Girl Guides of Canada by Joyce Shanks. By whom are they made? And do the labels have warnings? That must be the PLAN. By guest blogger Joyce Shanks. 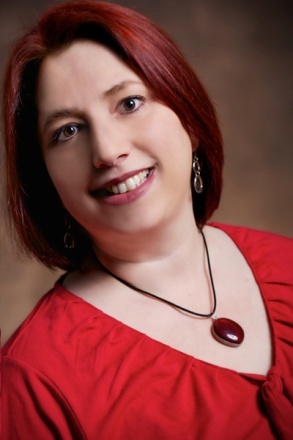 Joyce is a certified holistic practitioner and President of eCause Canada Inc., whose mission is to provide simple, profitable, green fundraising for healthy profits and a healthy world. She can also be reached by email. Looking for more by Joyce? Read her Green Camping and Green of Red, Orange, Yellow and Gold Leaves posts on our GirlGuidesCANblog. This entry was posted in Camping & Outdoors and tagged WAGGGS, World Thinking Day. Bookmark the permalink. Love this post. My girls joined Brownies this year and are so excited about attending their first Thinking Day event tonight. about in this article? I’d really love to be a part of community where I can get advice from other experienced individuals that share the same interest. If you have any suggestions, please let me know. Thank you!